Samsung Galaxy M10, Galaxy M20 announced: Will they rival Xiaomi? Samsung has announced the Galaxy M10 and Galaxy M20 in India today. The smartphones offer ultra-wide angle secondary cameras and waterdrop notches. The new devices range in price from ~$112 to ~$183. Samsung has been sparring with Chinese brands in India over the past few years, as Xiaomi and Realme secure a foothold in the region. We’ve seen the Korean firm launch devices as a response to this challenge before, and it’s got more up its sleeve in the new Galaxy M10 and Galaxy M20. Samsung’s latest budget phones target the entry-level segment and the lower end of the mid-range bracket respectively. 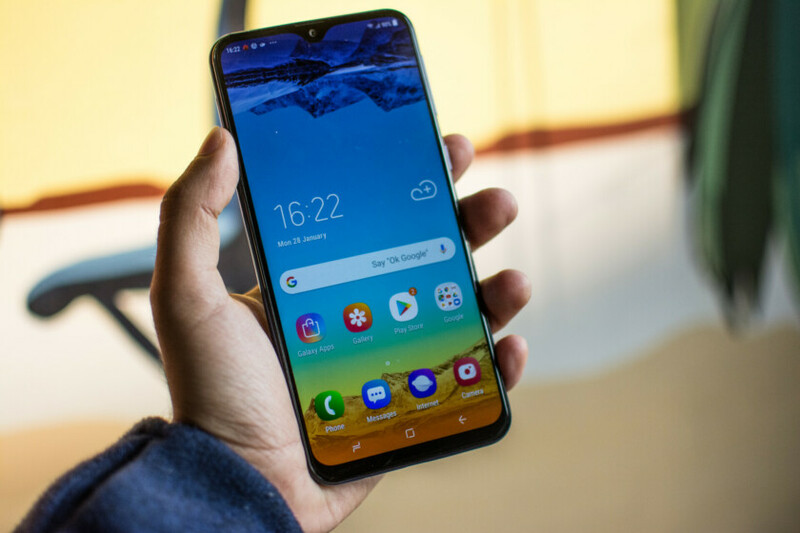 Our Galaxy M10 review is already live so make sure to check that out here. Our Galaxy M20 review is coming tomorrow! Starting with the Galaxy M10, we’ve got a phone with modest internals (an ageing Exynos 7870 chipset, 2GB to 3GB of RAM, 16GB to 32GB of expandable storage), and a 6.22-inch HD+ LCD screen with a waterdrop notch. But the phone also stands out from other low-end offerings by offering a 3,400mAh battery, and a 13MP+5MP ultra wide camera pairing. It’s rare to see ultra-wide angle rear cameras in an entry-level phone, even if the resolution here means resolvable detail is likely to be disappointing. Meanwhile, the Galaxy M20 offers the Exynos 7904 SoC, 3GB to 4GB of RAM, 32GB to 64GB of expandable storage, and a 6.3-inch full HD+ LCD screen with a waterdrop notch. But its unique selling point is a 5,000mAh battery, which easily bests the Redmi series and Realme range in sheer capacity. Otherwise, the M20 offers the same 13MP+5MP ultra wide rear camera pairing seen on its cheaper stablemate. It’s clear Samsung has cut corners to meet the Galaxy M10 price-point, but there are more cuts to be had. We’ve got a 5MP front camera instead of the M20’s 8MP shooter, microUSB instead of USB-C, and no fingerprint scanner at all. You can read all about these spec differences between the Galaxy M10 and Galaxy M20 over here. So what exactly is the price point, then? Well, the Samsung Galaxy M10 has a suggested price of 7,990 rupees (~$112) for the 2GB/16GB model, while the 3GB/32GB variant will retail for 8,990 rupees (~$126). The 3GB/32GB Galaxy M20 will retail for 10,990 rupees (~$154), and the 4GB/64GB model has an asking price of 12,990 rupees (~$183). The former price means Samsung is certainly going up against the likes of the ~$112 Redmi 6, ~$127 Redmi S2, the ~$106 Realme C1, and the ~$134 Realme 2. The latter price pits the M20 squarely against devices like Xiaomi’s Redmi Note series and the ~$197 Realme 2 Pro. Both phones will be available in Ocean Blue and Charcoal Black color options via the Samsung website and Amazon India. We expect Samsung to release the M10 and M20 globally as well, but so far we have no information regarding international availability. Would you buy a Galaxy M device over the competition? Let us know in the comments section!